December has been a month full of celebration!! It all started December 6th, when I got home from 2 weeks of traveling for Thanksgiving and work. Andrew told me how much he missed me and wanted to make us a nice dinner. He doesn’t cook very often, so I was thrilled at the gesture. He put together a very impressive menu! 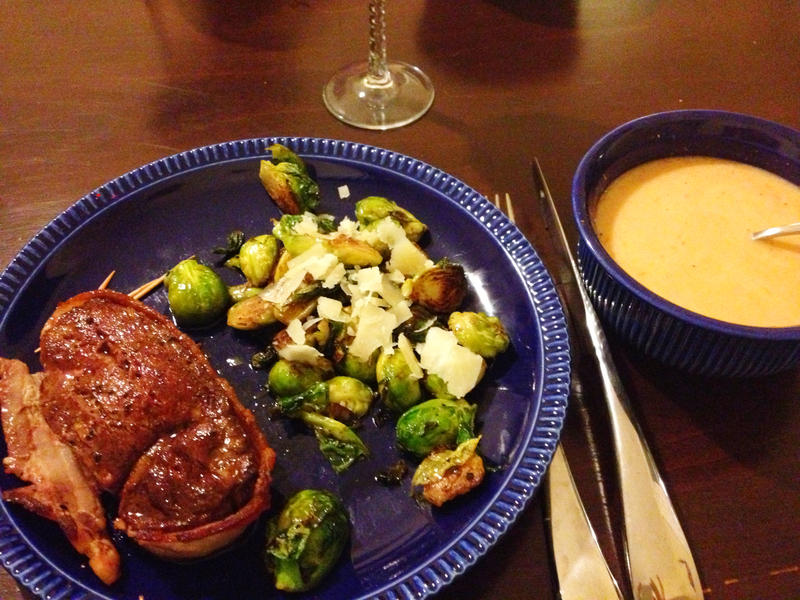 He made lobster soup, bacon wrapped filet mignon, and my favorite Brussels sprouts. I’ll have to ask him to write a separate post on how he wrapped the bacon around the steak and seared it – the flavor was to die for! I even have a picture of the meal before we started eating because I texted it to my family to show what an amazing dinner he had made! I started right into the steak, while Andrew started talking about our relationship and where it all began (in Vegas!! haha!) I thought to myself, “Wow! He really missed me! This is so sweet!”. Meanwhile, I’m about half way through the meal and he’s barely touched his steak – I should’ve suspected something. After a lot of loving words, he stood up and pulled a ring out of his pocket! This is where it all gets blurry and my memory is a bit fuzzy because I was hit by a wall of tears. Apparently, Andrew came over, got down on one knee and asked me to marry him. But, you’d have to get those specific details from him! Later that night when we called my family, my mom asked if he gotten down on one knee when he proposed. I said “No, we were sitting at the dinner table so we were both sitting.” He looked at me shocked and said “Are you kidding me?? I was down on one knee that whole time! !” Like I said, it’s all a bit blurry once that ring came out and I realized what was happening! I spent the rest of the dinner in shock, admiring my new ring, while he finally got to enjoy his steak. Our friend Elaine came over later and took this photo of us with my cheeks still tear-stained. Since then, December has been a month full of happy tears, tons of excitement, and a lot of champagne toasts! I haven’t quite gotten used to this gorgeous ring on my finger and keep trying to get a picture of it in the best light! 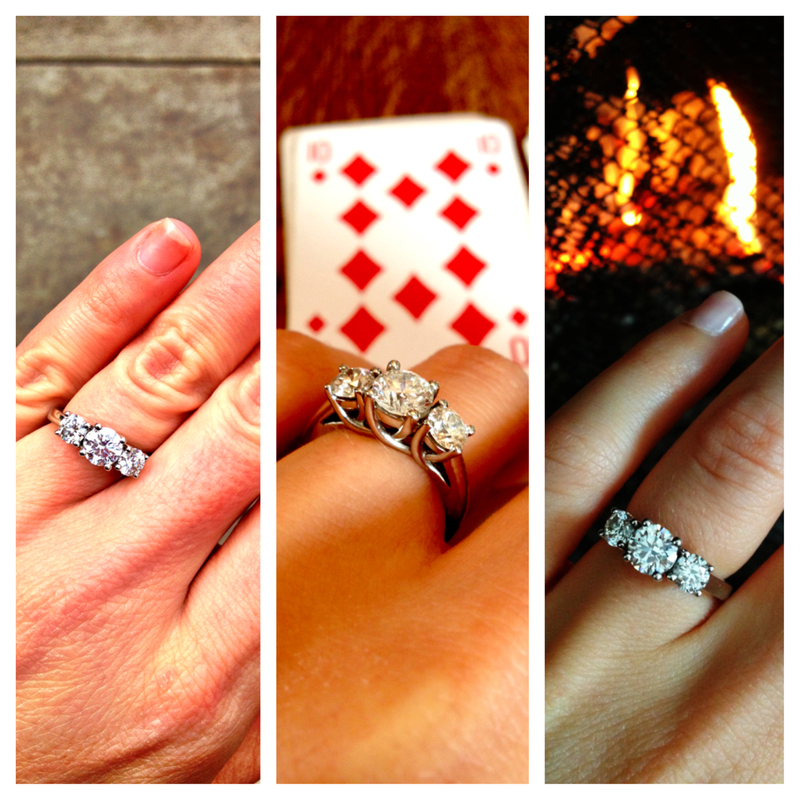 There are suddenly a lot of photos of my left hand in my iPhone, out on a walk or playing cards or in front of the fire… I’ve read that December is the most popular month for getting engaged and I can understand why! It’s perfect timing for celebrating with friends and family. My family does not take celebrating lightly. I showed up at the Milwaukee airport and saw a sweet man dressed as Santa sitting in the waiting area, with little kids at his feet staring up in awe. I got a little closer and saw that Santa was my dad!! He got a lot of double-takes in baggage claim, to say the least. 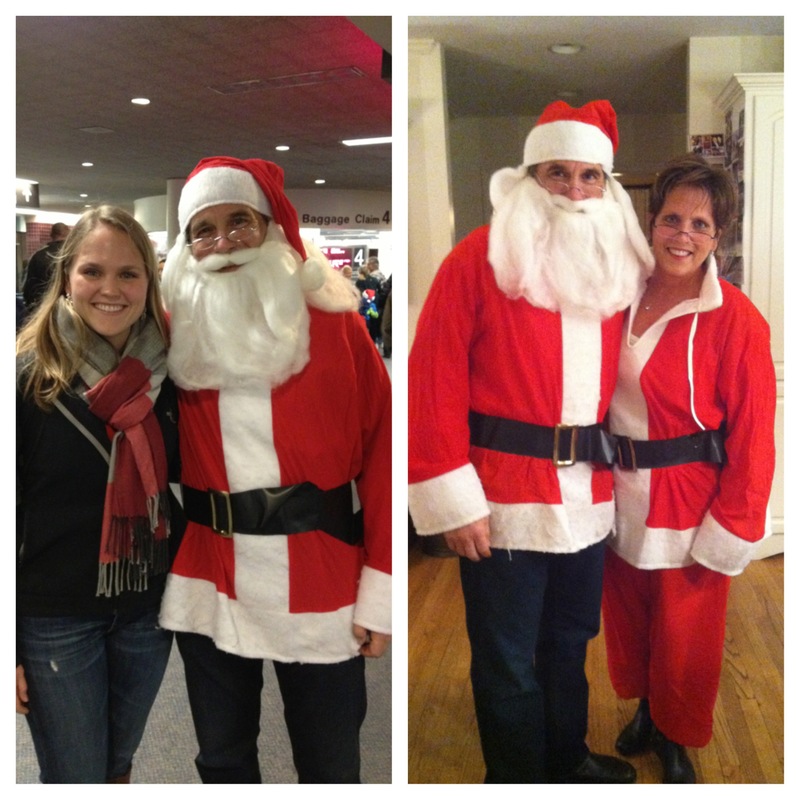 Knowing my mom doesn’t like to be outdone, I should have known Mrs. Claus would be waiting for me at home! It was a very Merry Christmas in Milwaukee with my family and Andrew all together. 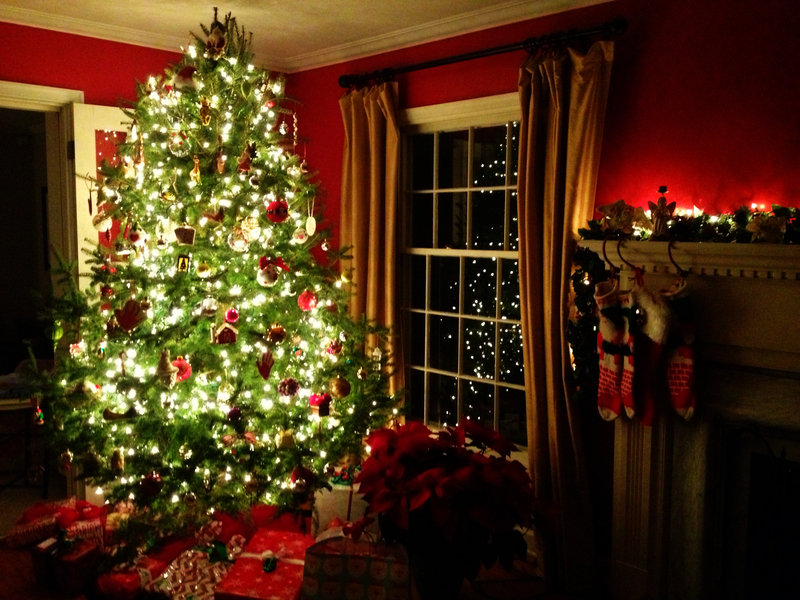 My mom certainly knows how to decorate a home full of cheer! There is no place I’d rather be for Christmas! 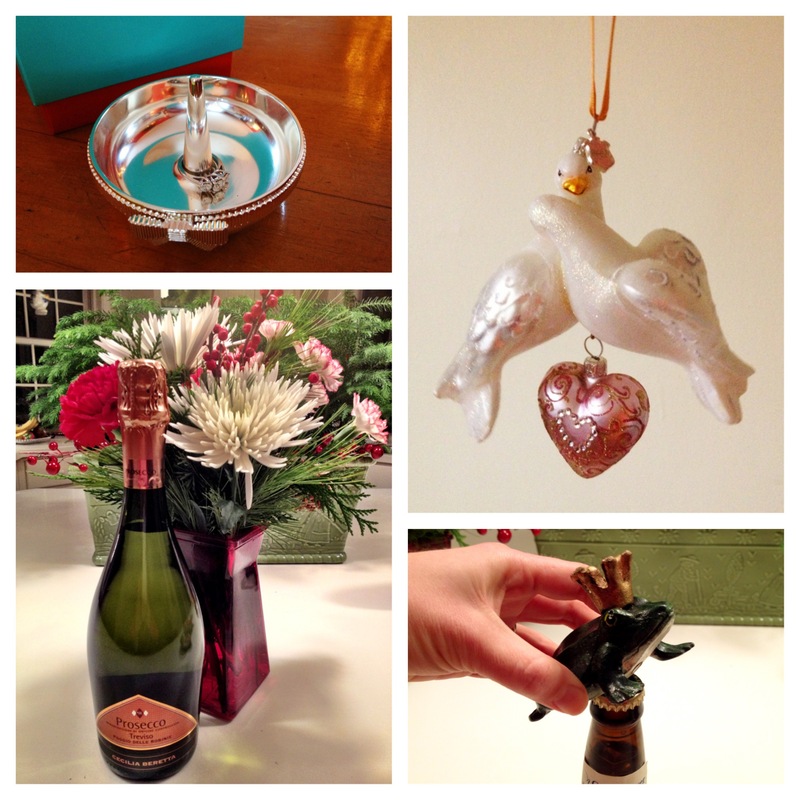 Andrew and I have received some really sweet engagement gifts that have made this time for us even more special! An engagement gift is a really thoughtful way of sharing your excitement with the couple. I thought I would share some of them with you, as ideas for other friends when they get engaged. As a person who loves to plan parties, I never predicted feeling at such a loss for where to begin with my own wedding. My sister gave me this stack of magazines to get me started, which has been really fun to page through. 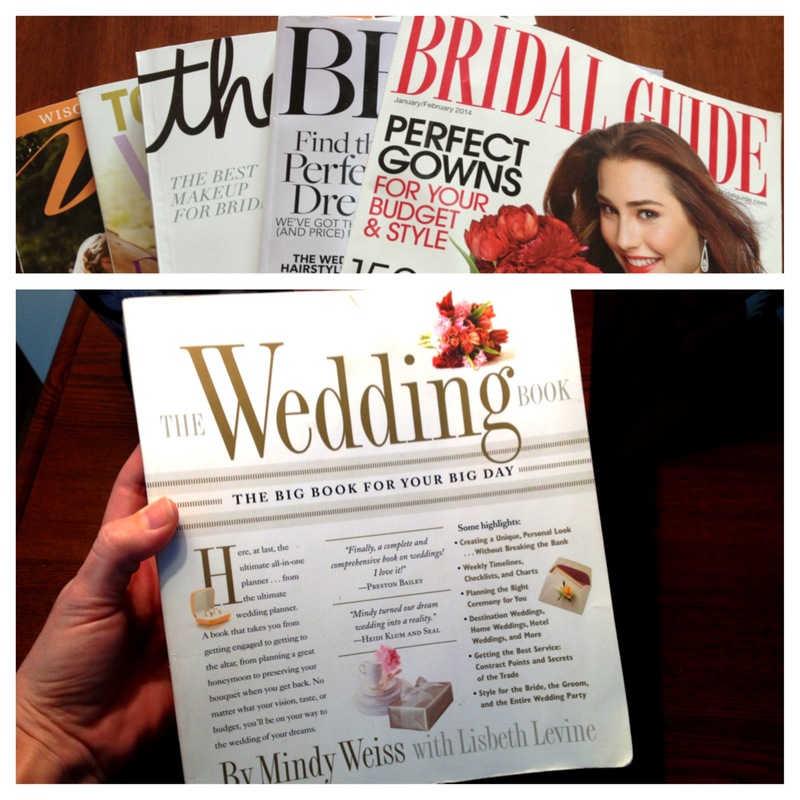 Also, from what I’ve read so far, every bride should have The Wedding Book by Mindy Weiss. It is a completely comprehensive book full of information and great little tips on everything you could possibly think of. To hold that beautiful new engagement ring, every bride should have a beautiful ring dish, like this Kate Spade ring holder below. An engagement celebration isn’t complete without a champagne toast, so a bottle of champagne and flowers are always a perfect gift. We got our first ornament from my family, this Two Turtle Doves ornament from Reed & Barton, a very special memory to hang on our tree each year. I cannot get enough of this fun “Prince Charming” bottle opener with a 6-pack of beer. He cracks me up every time I see him – and yes, I found my prince charming! Here’s to 2014! Happy New Year! Let the wedding planning begin! Ahhhh so excited for you two!!!!! Sara I just viewed your new post and I am sitting here with tears running down my face. Of course tears of joy for you and Andrew. Very exciting times indeed. Congratulations Sara! 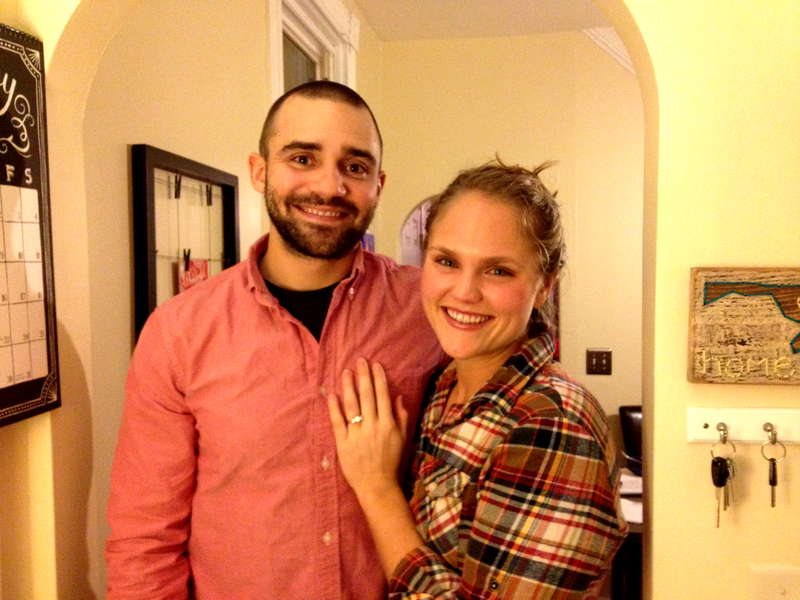 Congratulations Sara and Andrew! It was fun reading your engagement story😍. Enjoy this special time in your lives!! I feel like I re-lived the moment with you. I’m so happy for you Sara.. Congratulations to you and Andrew!